Who Is In Charge? You Or Your Thai Wife? In part 1 we talked about your Thai wife respecting the traditional roles of men and women in a relationship. I said a Thai wife would leave the final decisions to you but she would, of course, already have a very good idea what you will decide. How Is Your Thai Wife Like A Good Lawyer? Your Thai wife is like a lawyer in court. In reality lawyers don’t ask questions of the witnesses unless they know how the witnesses will answer. It’s the same in your relationship with your Thai wife. She’ll let you make the final decision but let’s face it, she already knows how you’ll decide. So what’s the point? The point is you get to FEEL like a man. However transparent that decision might be, it’s important that you get to make it. Does Your Thai Wife Know The Outcome Every Time? Will she know the decision you will make every time she asks you to decide? Actually no. She’ll also ask you to decide in situations where she doesn’t mind what the outcome is. Go to the movie or go out with friends tonight? She doesn’t care which one you choose so she’ll ask you to decide. It can be a little frustrating for Western men because sometimes you may ask for her opinion and she won’t give it to you. Why not? Because if her idea clashes with your wishes it creates conflict within the relationship. She will try to avoid conflict at all costs. A Thai wife’s goal is to have harmony with her partner. A Thai Wife Might Not Tell You Her Opinion. What should you do? Decide! Embrace your new relationship and your standing in it. Step up and make the decisions. You’re the man! That sounds easy but if you’ve already been in a Western relationship you may have gotten away from making the big decisions. 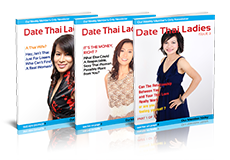 Your Thai Date Will Change How You Think About Relationships. You’ll need to change your way of thinking. In your previous Western relationship you may have been extremely careful not to upset your partner. You may have ceded the big decision-making to your Western partner figuring it’s just not worth the fight to get what you want. Things Are Different In Thailand. With your Thai wife you may find the shoe’s on the other foot. 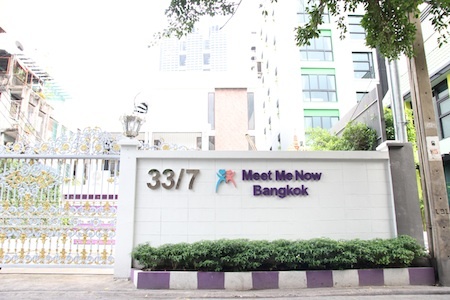 If you don’t step up and make the decisions it could be difficult on your Thai wife. She’ll be very confused if you drop the final decision-making powers in her lap. That’s not the way she was raised and it’s not what she ‘s expecting in your relationship. This is your moment. Be the man you always knew you could be. Study your choices, consult with your Thai wife, and make the decision. She’s relying on you. Be the man and you’ll have a fabulous relationship with your Thai wife.